Okay I love the main characters in this – Sam and Dean, they’re gorgeous and their relationship just keeps you glued to the screen. If you love the supernatural, this has bucketloads of strange creatures, high octane action and wry humour. Lots of fun, albeit gory fun. We’re only on two series of this show but I love the mix of the supernatural and teen drama (the creator of Dawson’s Creek is behind this one). 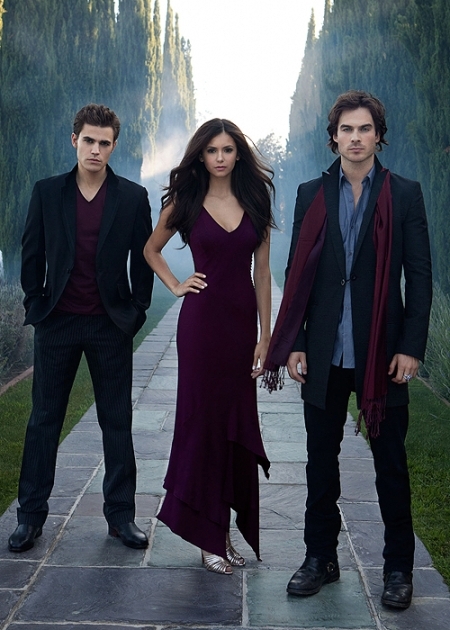 The main triangle of Elena and two warring vampire brothers is seductive and compelling. Yes there are similarities to Twilight but it’s a great series that will keep you hooked. I love JJ Abrams. He makes some great TV and Alias was sadly overlooked by a mainstream audience. It carried on for 5 seasons though and was full of twists and turns and was action packed. Starring Jennifer Garner as a spy who could never be sure of who to trust, it’s a brilliant watch from start to finish. JJ Abrams strikes again and created this show about a parallel universe. Staring Joshua Jackson who I’ve loved for years, this is also full of twists and turns and will leave you scratching your head but in a “this is brilliant” way. Well worth checking out, you need to watch from the start though to fully understand it. I hope this runs for a long time. This was the first vampire themed show before the whole Twilight boom and it’s an action packed, fun show that really inspired a lot of love out there. It was brilliantly imagined and even had a musical episode. I’m looking forward to checking out SMG’s new TV show Ringer. This had one of the best first series I’ve ever seen. Telling the story of humans who discover they have extraordinary powers, it was brilliantly crafted. However, the following seasons failed to match up to the first one and it was cancelled after just four and I didn’t even bother to watch the last one. Such a shame! You make me want to watch more television. My problem is that many of my favorites conflict with time and I can’t decide between them so I watch nothing! I end up buying boxsets so I don’t have to worry about missing an episode or some are only on pay channels over here, which I don’t have! Ah, Supernatural – now you’re talking! I liked Heroes ( the first episode ) but my problem is I forget things are on so miss episodes and then I’ve missed too much. I actually got round to remembering Doctor Who was on last weekend and I even managed to remember the new series of Downton Abby was starting on Sunday… I can’t promise I’ll remember to continue though! Yeah some series you have to watch every episode or it’s confusing! I love Doctor Who! I’m really ashamed of myself. I’ve been so busy watching garbage like Jersey Shore ( I know it’s dumb but they are so ridiculous I can’t help watching… it’s like a big train wreck with bad accents) that I’ve clearly missed all the good stuff. Look at you, Vix, teaching the American a thing or two about America! I watched Heroes when the noise in the market stopped. I can’t watch anything that’s hyped up. Like you, I enjoyed the first season more than the others, and never finished them. Lie To Me is AWESOME. Check that out. Royal Pains is nice for the lighter side of tv. I’ll have to look into Lie to Me! BUFFY!!!! Love Buffy. But Heroes was good, so is Vampire Diaries. Wow…too many on this list. Oh, and Lovelylici1986 I’m with you. Lie to Me is AWESOME! Love it. I need to find out about this show then! I know this is a shocker, but–BUFFY!!!!!!!!!!!! You make me wish that we had better television! I have sky at my house and I’ve heard of but never seen most of the shows on your list :[ I absolutely LOVE Vampire Diaries and Supernatural though but I’m pretty sure both seasons are ending now :[ Boo. I hate having to wait for new seasons! Heroes was amazing, it really is a shame, reminded me of the future. It was a shame, they should do a movie instead. Ahhh, how’d I miss this post?! Television is my absolute biggest obsession. It’s my dream actually to write television one day or just work in the industry. You like many of the same shows I do too! I watch so much television that I’m behind on a bunch of show: Supernatural, Vampire Diaries and Fringe. I heard this season’s opener for Supernatural was really good, much better than Season 6 which was kind of meh. 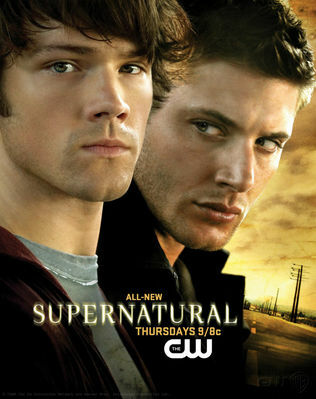 Supernatural is on my list of shows to start watching! I have a lot of friends who love it! I’ve actually watched Vampire Diaries and I do find it slightly interesting but it’s not my favorite. Heroes I completely agree with you on, the first two seasons were AWESOME then I didn’t even finish the third one.. It was really sad. Yes you need to check it out, I think you’ll like it. How good was the Doctor Who finale?! !